Please note that entry for early access to tickets has now closed. Codes will be emailed to all participants before 2PM Tuesday 19th June. Early access to purchase tickets begins 9AM Wednesday 20th June. If you have a question about your order contact us using the link at the bottom of this page. 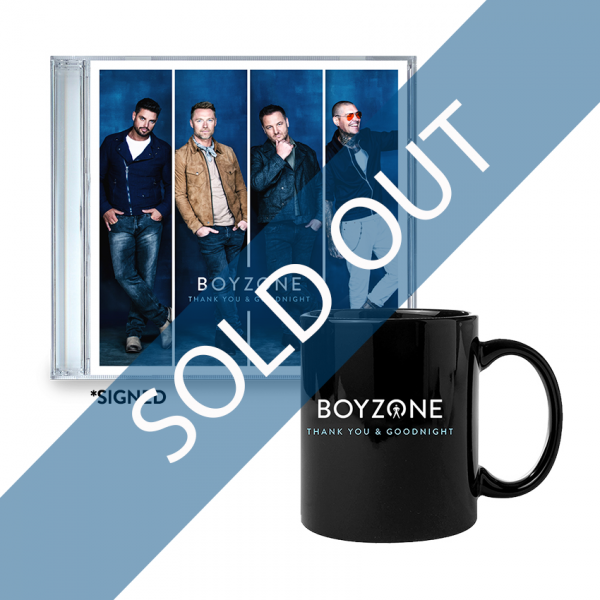 This Boyzone signed CD + Mug includes the final album on CD signed, plus a black ceramic mug featuring the album name ‘Thank You & Goodnight’.